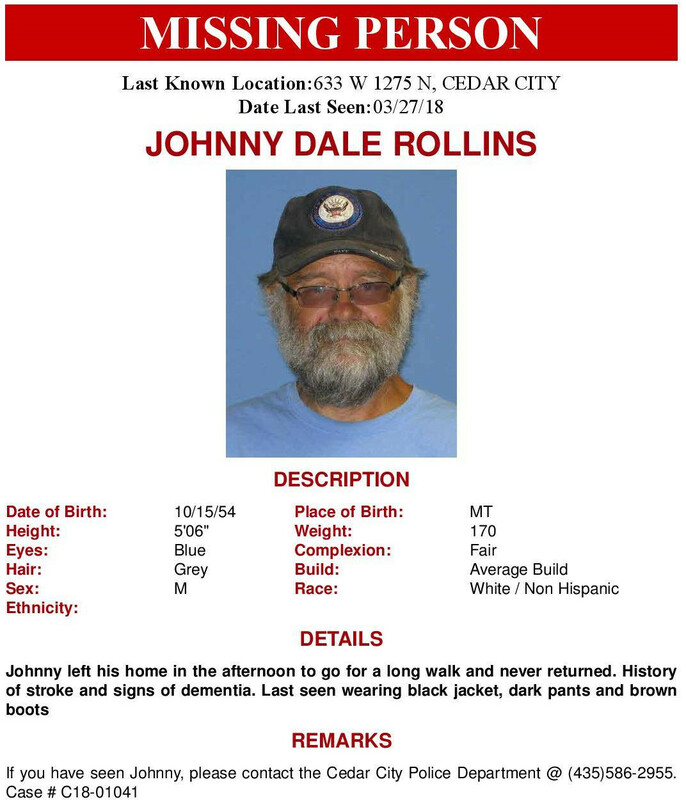 CEDAR CITY — More than 10 days after Cedar City resident Johnny Dale Rollins Sr. went missing without a trace, his wife, other family members and friends remain baffled by his disappearance. Johnny Rollins, a 63-year-old former truck driver with a history of strokes and dementia, left his home at 633 W. 1275 North after telling his wife Virginia Rollins that he was going for a long walk about 1 p.m. March 27. That was the last confirmed sighting of Johnny Rollins. Virginia Rollins said her husband often would go walking on trails in the Cedar City area, particularly those in the northern potions of town, including the Cedar Ridge Golf Course and along North Cedar Boulevard. “Most of the time, he would come home after about four hours, but all he said was he was going for a long walk, and he never came back,” Virginia Rollins told Cedar City News Saturday afternoon. Although various tips have come in to Cedar City Police, none have proved fruitful. Search and rescue teams from Iron County and Las Vegas have conducted searches to no avail. Virginia Rollins said although search dogs did pick up a hint of Johnny Rollins’ scent, it was not a fresh trail. Additional searches conducted by family and friends have also not turned up leads, she said. “I just wish I knew if he was alive or dead,” she said. Johnny Rollins is described as white, 5 feet 6 inches tall, weighing 170 pounds with blue eyes, gray hair and a gray beard. At the time he was last seen, he was reportedly wearing dark or black pants, a black jacket with white lettering reading “Swift” and brown cowboy boots. He also was wearing a black T-shirt that read “Never underestimate the power of a Rollins,” his wife said, adding that he did not have a cell phone with him when he disappeared. 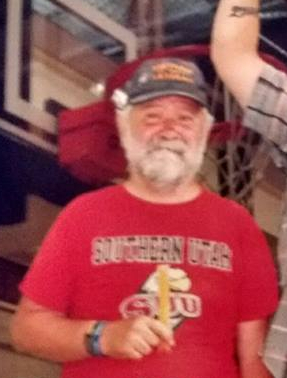 Anyone who sees or may have seen Rollins is asked to contact Cedar City Police Department by calling 435-586-2955.